I have been waiting for the release of this film ever since I heard it was in production. I loved the first one so much. It’s one of my favourite horror films! So I had high hopes for this film I so wanted it to live up to the first film and I wasn’t disappointed. This film sees a return to the town of Crythin Gifford and the secluded Eel marsh house. This second instalment is set in the era of Second World War and the plot surrounds a group of wartime refugee children who are sent to board inside the haunted rooms of Eel Marsh house. Once again strange happenings begin to take place and children begin to die. 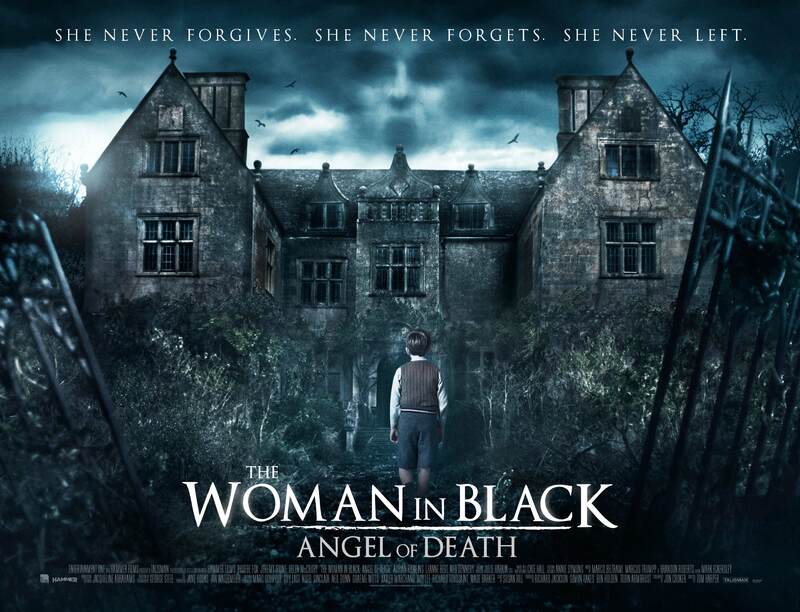 The one thing I like about this film is that it went into much more depth about the story of the Woman in Black and who she was and about the death of her son in the marshes that I feel was left out in the first film and are so important in the book. This is a really scary film, filled with suspense and plenty of jumpy parts. This film is a really great, well-written Ghost story that will have you sitting on the edge of your seat. I give this 10/10!! I loved it! Have you seen this film yet? If so what did you think? Let me know!